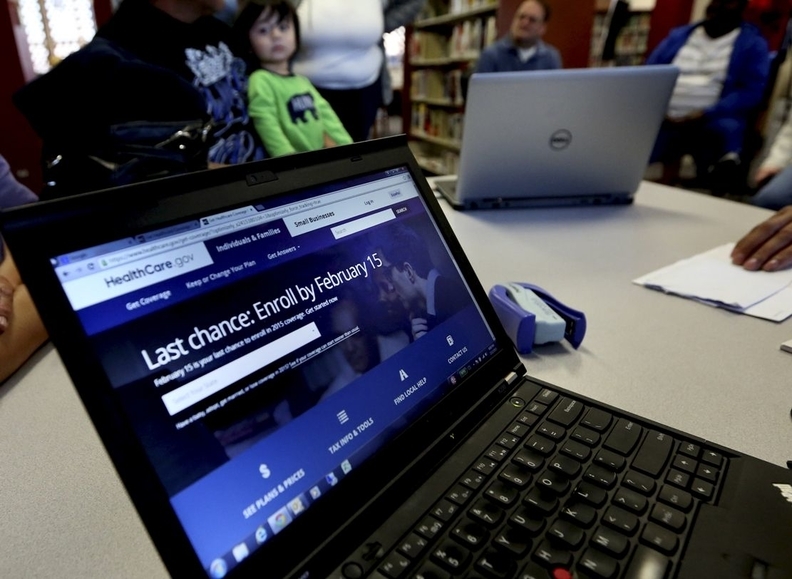 About 12.2 million people signed up for health coverage on the federal and state-based exchanges during the Affordable Care Act's fourth open enrollment that ended Jan. 31, the CMS said Wednesday. That's down from last year's open enrollment period when 12.7 million Americans selected a health plan, and significantly lower than the Obama administration's projectionsreleased in October. The administration initially expected that 13.8 million consumers would enroll through the marketplaces during the three-month enrollment period. President Donald Trump's administration rolled back emails and ads meant to encourage people to sign up for coverage on HealthCare.gov during the final week of open enrollment, when large numbers of consumers typically choose plans. That pull-back and uncertainty about the future of the exchanges under the new federal administration likely prompted fewer sign-ups. Of those who enrolled, 3.8 million, or 31%, were new. The rest were returning customers. Most people who selected a plan were 35 years or older, with 3.4 million people, or 28%, over the age of 55. Just 4.4 million people, or 36%, were younger than 34. The CMS data also showed that most of those who enrolled qualified for financial assistance to help pay for coverage. Nearly 10.1 million people, or 83% of the total exchange members, received a premium tax credit to lower monthly payments. People who make between 100% and 400% of the federal poverty level are eligible for the premium tax credit. And 7.1 million exchange members, or 58%, received a cost-sharing subsidy to reduce out-of-pocket costs like deductibles and copays. Those who earn between 100% and 250% of poverty and selected a silver-level plan are eligible for cost-sharing subsidies. House Republicans' bill to repeal the ACA—the American Health Care Act—would get rid of the cost sharing subsidies. It would also replace the ACA's income-based premium tax credits with fixed, age-based tax credits that generally would be smaller. People who are older and have lower incomes would receive less financial help to pay for coverage under the GOP's plan than they did under the ACA, according to the Kaiser Family Foundation.